Like many others', Jim’s road is winding, twisting and full of surprises. 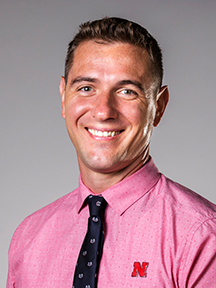 After being given advice as a youth to have as many experiences as possible, he has landed in the College of Education and Human Sciences, excited and eager to help students and faculty with their international experiences. As a human connector, he is happy to meet new people and help them find their way to wherever they are going. Jim started out in the United States Coast Guard, working on the Mississippi River and Gulf of Mexico. Then, after a short stint as an aircraft mechanic at Duncan Aviation, he turned to academics. After obtaining an undergraduate degree in geography at the University of Nebraska–Lincoln, he went to Montana State University–Bozeman (MSU) where he studied paleoecology using lake sediment cores to reconstruct past vegetation and fire history. After obtaining his master’s degree, he worked as a lecturer and curriculum developer for the Department of Earth Sciences at MSU, teaching both incoming undergraduates and upper-level students about the Earth Sciences. In addition, he worked as an interpretive guide in Yellowstone National Park, giving tours about the geologic history of the world’s first national park. Please don’t hesitate to stop into Jim’s office, or give him a ring.